A key element of the work of our reps is promoting diversity and training is availible through the union. 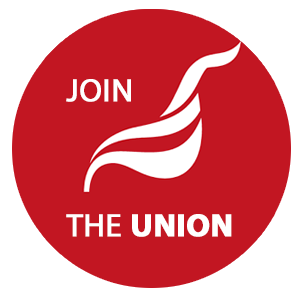 Let us know if you have a report to share with other branch members or if you want support. The union currently has national campaigns for period dignity and show racism the red card's Wear Red Day on Friday 19th October. See the equalities page of the website here. We work for the newly formed “Regulator for Social Housing” and myself and attended the recent regional ACAS Diversity Conference in Leicester as LE1111 Unite reps. Having never been to one of their events, I wasn’t sure what to expect but was pleasantly surprised at how good it was! The focus of the day was on Diversity and Productivity, and there was a packed agenda of speakers in the fields of mental health, diversity and “neuro-diversity”. Kicking off was Brendan Barber, Chair of ACAS, and former General Secretary of the TUC who focused on the positive aspects that variety brings to the workplace, and the cost – benefit of recognising mental health to enable better employee- employer relations. Neurodiversity is about recognising that we have different brains, and the need for employer’s to unlock the potential of neurodivergent employees by raising awareness and having more flexible work approaches. Clare Ward from Eversheds labour law team brought her expertise on disability discrimination law and the reasonable adjustment duty. The law allows a person with a recognised disability to be treated more favourably. But more than this, Clare put forward the moral argument that employers should want to make reasonable adjustments to benefit their employees in the workplace. There were presentations from leading experts in the field of neurodiversity with Dr Ross Cooper and Becki Morris promoting policy and practice for people with Dyslexia. Richard Todd made a really interesting speech about Dyspraxia in the workplace and there was the keynote speaker Nancy Doyle on Neurodiversity. Nancy was informative and an engaging speaker, who spoke about neurodiversity as the “hidden disability “and how the workplace needs to fundamentally shift to be inclusive. Her “Genius Within” social enterprise supports people and companies to embrace difference. Margaret Malpas also offered her insights into Adults with Dyslexia. One of the presentations that really struck a chord with the audience was “Menopause No Longer Taboo” from Deborah Mulderrig and Margaret Wood. The lack of policy and support at work is a huge problem especially when we consider how it will affect half the workforce and evidence suggests that it exacerbates the gender pay gap as women leave work because of their symptoms. A male occupational health professional spoke from the audience to say how in his entire career, menopause was never discussed even when he knew that was the key issue facing a referred client. Abigail Hirshman from ACAS spoke about the new ACAS framework for workplace mental ill health and mental health which can be accessed through their website. The focus being on the need for a joined up and holistic approach to positive wellbeing and productive workplaces. From a very personal perspective, Anna Price from Rural Business Awards spoke about her own experience at being diagnosed with ADHD as an adult and how everyone can bring positivity to the workplace. This was a candid speech who engaged us all with her insights for employers to move beyond the labels. In all, a really thought provoking and informative day at the National Space Centre in Leicester.